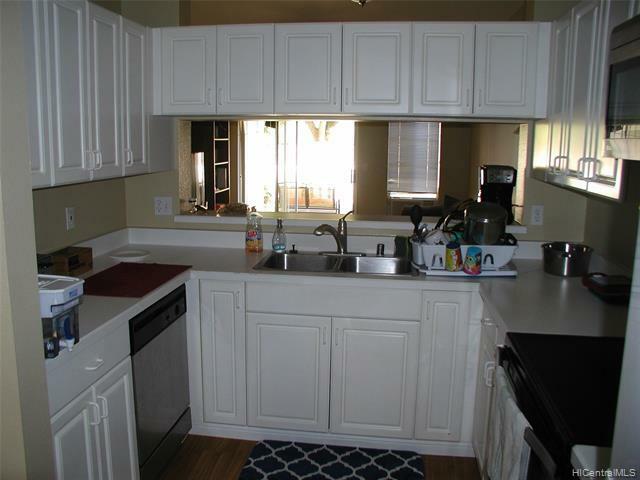 In escrow showing for back up offer. 6 months with no maintenance fee (credit to buyer at closing). 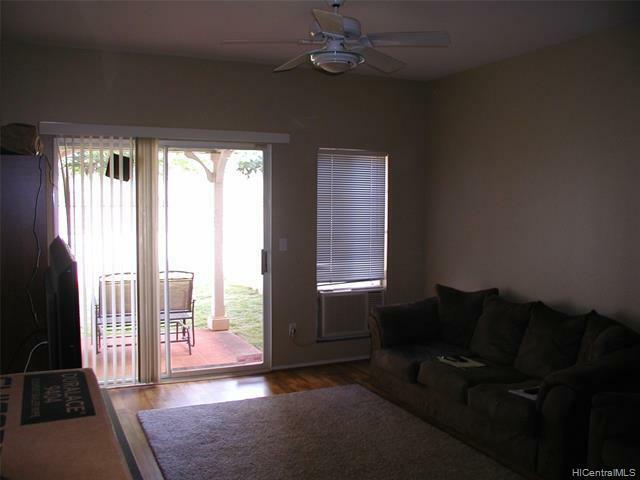 2 story townhome with courtyard and lanai on perimeter of complex at Village on the Green. 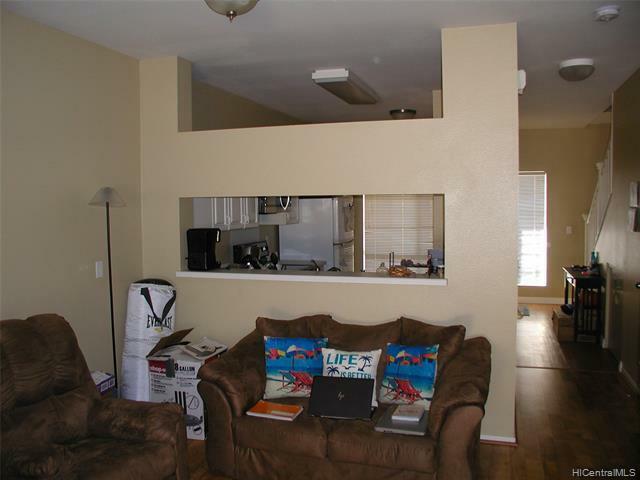 Unit includes 3 window A/C units and ceiling fans. 1 covered & 1 open parking stall. 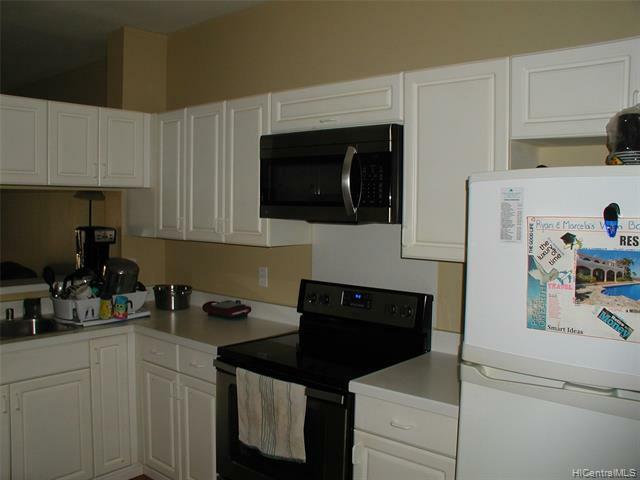 Both bedrooms and full bathrooms are on second floor. Half bath on first floor. Seller currently has a VA mortgage with assumable 3.5% interest rate. . Listings provided courtesy of Michael Moran & Associates.